My favorite .380 is the Beretta 85FS. I also have the .22LR version which is the 87BB. Expensive, but worth it. I much prefer them over the Walther PP. The Sig 230/232 is a good gun too. According to what I have read (Ed Harris), the 230 is considerably better than the 232 (which has powder-metal or sintered parts). (That's not to say that sintered parts are necessarily junk). The Berettas are certainly fine guns too. Not cheap, but you get what you pay for. They are on the big side for .380s, which has an upside of the gun not being so critical of a slightly limp grip and still cycling, the smallest guns in a particular caliber tend to "demand" a very firm hold (and that on a small grip) or they may not cycle. Of course the bigger the gat, the harder to conceal properly. You know what they say about a .380, right? Personally, I much prefer a snubbie over these tiny semi-auto mouse guns.. I wouldn't want to stand in frot of any gun, eve including a .22lr. A .380 might not be ideal but it can be used defensively. If that's the caliber you can handle or fits the size gun you will carry and have on you, then it's a beck of a lot better than not having a gun on you. Too many people seem to forget that it is not a level headed sober person when dealing with many criminals, many will be hyped up, that is when the larger bullet works best. Sure shoot one of us with even a 22 and we likely would hurt badly and maybe even go down, shoot a person on drugs with even a shotgun and they may not go down, one of my friends shot a perp with his 12ga and the guy still ran away one block before dying and part of the time the perp was running he was shooting back with his 25acp, luckily he did not hit anyone with it. Back in '96 I was going to buy the James Bond's gun, Walther PPK in 380, but was talked out of that one and bought the Sig P-230 instead. I did not regret it as the PPK has a horrible trigger. The P230 is a beautiful piece made with German engineering quality and weighs only 18.5 oz. Shield? Yeah, they are nice, just a tad heavier and bigger...better in the winter.....hi-power carries well too but, too long.....the glock 23 and 22 are nice but, too big.....SD and XD's are the same...too big....442 is nice and concealable but, not accurate past 5 yards in a hurry. Last edited by volosong; 03-23-2018 at 11:01 PM.. Reason: No profanity here. Thanks. Well, I ended up with a deal on a Beretta Cheetah, have not fired it yet, but it is a very nicely made pistol, and as I said before, it's on the big side for a .380, with all the advantages and disadvantages that brings. It was "used" in that I didn't get a factory box with it, but I got it for $125 less than a brand new one sitting right next to it in the case, and like that "used" CZ .22 rifle I picked up at the same shop, I can't find a scratch on it. Came with an extra magazine, and a plastic carry case, including a "California compliant" lock that I have not messed with. Like buying a car with 50 miles on it, I guess. You can get some more modern ammo anymore for the .380. Hornady Critical Defense, Federal Hi Shok, etc. Of course this does beg the question to if you really want a fragile hollow point bullet in this round. If your assailant is wearing just a t-shirt, probably so. In the middle of winter in Wisconsin, probably not. 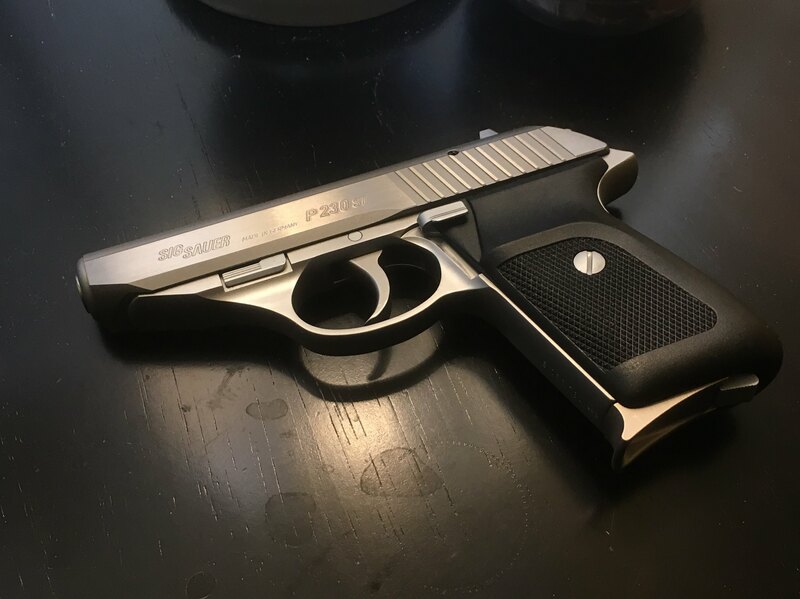 Well, I ended up with a deal on a Beretta Cheetah, have not fired it yet, but it is a very nicely made pistol, and as I said before, it's on the big side for a .380, with all the advantages and disadvantages that brings. I love my Cheetah, which is the single stack, slimmer 85FS. They are quality pistols for sure. You will love it. They carry pretty easily. I imagine you got the double stack 84FS, which is a little wider in the grip, but not much. Great choice! I carry Hornady Critical Defense in mine. I was once part of the "nothing smaller than a 9mm" camp but with recent improvements in effectiveness of 380's I felt it had sufficient stopping power. I personally carry a LC9S most days. My significant other thinks it recoil is a bit much so when it came time to get her a carry piece we opted for the LC380. She loves it, shoots it well and carries it everywhere, everyday which is the reason we bought it. The one I just bought is the 85FS. I will be on the lookout for the similar .22 LR chambered gat. About the only things I am not too pleased with on the Cheetah - the magazine safety, and the fact that applying the safety with the hammer back drops the hammer, so "Condition 1" carry is not possible. Beretta being Beretta, I imagine that the magazine safety is as reliable as any mechanical device can be (although, not being an idiot, it's just one more thing I don't need that could in principle go wrong) so I guess I can live with it. The DA and SA trigger pulls, right out of the box, are decent. Not Colt Gold Cup level of crispness, but better than most DA pistols I have tried. Anyway for the price paid, I am satisfied with it, and look forward to doing some shooting. I need to cast some bullets or maybe break down and buy some, so as to have some good long plinking sessions, to get really familiar with this and the 9mm LCR I bought awhile back.